Readers- Your Feedback is Needed! I would greatly appreciate everyone to either use the comments below to give me your feedback on my 6 basic hypotheses. If you have any questions, feel free to ask and I will get back to you as quickly as I possibly can. Posted on February 28, 2010 Author Joel GrossCategories Joel, Marketing9 Comments on Readers- Your Feedback is Needed! The Anvil! movie is about a band of men who’ve hung on to their dream to become rockstars for many years despite never having had much success. They are so old and desperate and sad. I really like their positive attitude and unfailing belief in the face of very little success for many many years though. Starting a business and operating a business are profoundly difficult activities with no government regulations, but with them it becomes nearly impossible to do everything correctly. I have firsthand experience with the difficult & confusing government regulations on entrepreneurs. Entrenched bureaucracies like the Washington State Department of Revenue and the Washington State Secretary of State’s office do not have to answer to anyone and extremely tough to figure out what forms to file, when to file them and even how to submit them. Their websites are absolute garbage, full of confusing nonsense and though they do allow e-filing for certain forms they don’t allow it for many important things. Certain forms can only be submitted via mail or in person. I have been doing my best to comply with all the laws and regulations on businesses, but it is a never-ending morass that only becomes more confusing the deeper you dive into it. I know many businesspeople who choose to skirt around the regulations altogether or just ignore them, but I would like to grow my business and follow the rules correctly. It’s ridiculous that to even close a business you must file documents with three separate organizations (Department of Revenue and the Secretary of State and the business’s registered agent). America was built upon freedom and small government principles and the further away we get from that, the harder it becomes to have a successful business that contributes to the economy and society. The poorly run businesses are now able to continue dominating markets by making corrupt deals with politicians (Goldman Sachs- AIG – Fannie Mae – Freddie Mac – Citigroup – GM – Delphi – Boeing etc), while great small businesses are kept down because of a lack of political power. If you want America’s economy to grow & prosper, remove the fetters on starting new businesses and operating existing businesses. Quit stealing money from successful companies and taxpayers to finance corrupt broken companies (especially the ones listed above). Let the free market work and watch efficient companies replace bad ones. Remove restrictions on starting new businesses. One more note: restrictions on starting general small businesses are harsh, but restrictions on starting businesses in certain government protected industries makes it nearly impossible for fresh competition to introduce groundbreaking products and more efficiency. These industries include aircraft/space manufacturing, medicine, banking and insurance. Blocking- impeding the progress of an opponent by extending one or both arms horizontally or getting in the path of a moving player. The fact that you can’t impede the progress of an opponent obviously implies that you cannot CHARGE THROUGH the person in an effort to get the ball. Charging- running into a stationary player while you are moving with the ball. Hacking- the player hits the arm or hand of the person holding the ball. A player may continue to move after gaining a guarding position in the path of an opponent provided he is not moving directly or obliquely toward his opponent when contact occurs. A player is never permitted to move into the path of an opponent after the opponent has jumped into the air. A player who extends a hand, forearm, shoulder, hip or leg into the path of an opponent and thereby causes contact is not considered to have a legal position in the path of an opponent. A player is entitled to a vertical position even to the extent of holding his arms above his shoulders, as in post play or when double-teaming in pressing tactics. Dine With Shamu – LITERALLY! During a show at Seaworld yesterday entitled “Dine with Shamu”, where park guests can have dinner and watch a whale show up close, a whale named Tilikum purposely drowned a female trainer. Tilikum is an 11,000 pound killer whale and people watching the show said he was not following commands and after becoming more agitated, swam around the tank and leapt out of the water to grab her in its mouth and dragged her into the water. “He just took off like a bat out of you know what, took off really fast and came back around to the glass, jumped up, and grabbed the trainer by the waist and started shaking her violently,” witness Victoria Biniak said. Tilikum had also previously killed two other people: a part-time trainer in 1991 who he also dragged in and a person who snuck into his tank after the park closed in 1999. 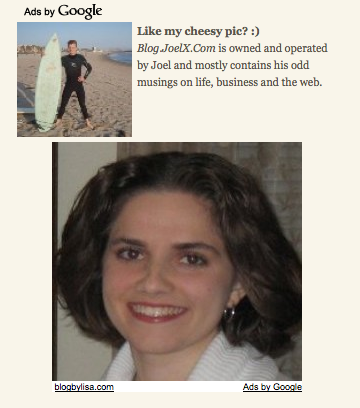 Posted on February 24, 2010 February 25, 2010 Author Joel GrossCategories Entertainment5 Comments on Dine With Shamu – LITERALLY! What doesn’t make sense to me is why someone would advertise their blog on Google if they aren’t selling something? It’s pretty expensive and doesn’t make sense unless you can turn a profit through it. Also her blog kind of stinks lol. If you pay $1,000 in rent each month, you will never see that money again. If you pay $1,000 on your mortgage, it is like putting that money into a savings account (because you can sell the house at the end and get your money back). Home prices always go up in the long run, meaning owning a home is like having an investment that you can live in. Owning a home is the “American Dream”. You can customize your house however you like and live there forever in your castle. It’s fun & profitable to “flip” houses…. buy a rundown home cheap & then fix it up & resell it for a profit. All of these are great benefits right? Everyone should own a home right or at least the majority of people? The monthly cost of renting is usually far cheaper than the monthly cost of owning and you can quit anytime. The monthly payment on a $300k 30-year mortgage with a 5% interest rate is $1,610. Renting a comparable place is generally much cheaper. You are also forced into a contract for 30 years, have to pay 6% commission to the buying & selling agents ($18,000), pay all the closing costs (surveyor, appraisal, loan processing, government offices)- generally $6-10,000. You generally don’t notice all these other costs because the real estate agents & loan officers are smart enough to build it into your loan so you don’t think about it. Home prices do not appreciate faster than inflation. According to the National Association of Realtors (the guys who make trillions helping you buy & sell houses), the price of existing homes increased 5.4% annually from 1968 to 2009. After you adjust for increases in the size of a home (remodels & add-ons), the actual price increased at a 3.7% rate each year… while general inflation over the same period was 4.4%!!! Another respected metric, the Case-Schiller Index (which tracks sales of the SAME homes), shows the average home price increasing 3.4% annually from 1987 to 2009… while inflation was 2.9% over the same period. Owning isn’t as fun as you might think. As most homeowners can attest, houses are very expensive & difficult to maintain. A renter can call the landlord to fix broken pipes, dangerous electrical setups, gas leaks, paint the house inside & out, maintain the landscaping, refinish the hardwood floors, recarpet the floors, change the locks, fix broken windows, exterminate pests, handle government permits and on down an eternal list of things to do. As a homeowner, you must either educate yourself how to do these things or hire contractors and pay out the nose for it. Guess how much it costs to have a pro install a new water heater? $800-2,000. Repaint the house? $5,500 for 3,000 sq. feet- and should be redone every 3 years. You are also stuck in the house for better or worse. It is far more difficult to move elsewhere for work or life reasons if you own a home rather than rent. Flipping houses is best left to professionals. Several good friends of mine during high school had parents who flipped homes professionally. Their parents had engineering degrees and ran successful construction companies. They handled all the work themselves and had their regular employees work directly under their supervision. During the boom times of the 90s and early 00’s they made great money, though they still had to deal with endless headaches (sketchy contractors, cost overruns, scheduling issues, city permits, etc.) Now that the market crashed over the last two years, they are barely ekeing by and a couple have even been forced into bankruptcy. The real estate industry is like any other business- tough & requires thorough knowledge and planning to be successful. My guess is that unless you have trained under a company that flips houses regularly, you will have a tough time profitably flipping yours. Also, don’t forget to factor in the cost of your own work- you wouldn’t work for free for your employer right? You should factor it in when working for yourself too. If you could make $20/ hour doing secretarial work, why would you put in 2,000 hours flipping a house for a profit of only $30,000? You could’ve made $40,000 typing instead of digging holes, breathing paint fumes and scalding your hands on pipes! The benefits of renting over owning are numerous for people who are not professionals. You can move anytime you get a new job quickly and easily, you have no long term financial commitments which frees up your money for investing in areas you ARE an expert in, you don’t have to deal with contractors who do half the work then quit, you don’t have to breathe paint fumes, you don’t have to try to figure out how to redo the crown moulding, you don’t have to resod your front lawn (a hellish job), and you don’t have to pay enormous transaction fees for buying & selling. Posted on February 23, 2010 Author Joel GrossCategories Entertainment1 Comment on Homes: Buy vs Rent? 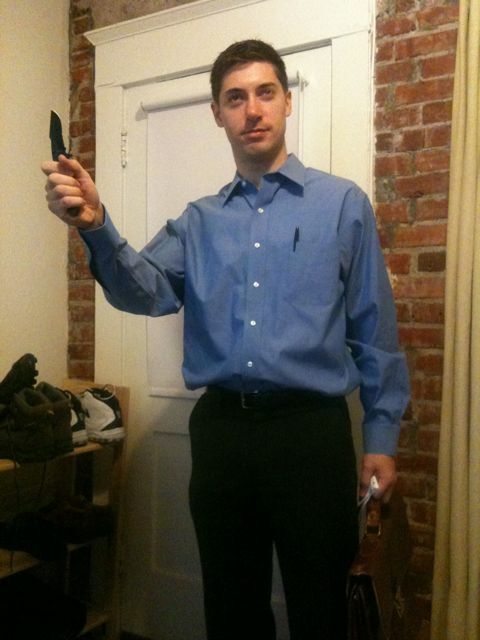 Trent is going to Compton for a business meeting… With protection. … perhaps once a decade or century would keep them more interesting. My title, “Tradition is Evil”, may surprise and upset you. Human nature is to avoid change and cling to the status quo. Please understand this and consider the thought I am about to lay before you carefully. I suggest that instead of blindly clinging to tradition that we use data, logic and rational thought to govern our lives. Since before the time of the early Greeks, mankind has thought that everyone should have his place and that change should come slowly if at all. Plato claimed that tradition is justice. His utopian society was one in which there would be three classes and people would rarely switch between them. Plato’s system of belief laid much of the philosophic foundation for later totalitarian regimes, from monarchies all the way to communism and national socialism. People today continue to have the same mindset of avoiding and resisting change. I believe the default human reaction of fighting change is something that is genetic since many changes can be potentially bad and you are less likely to come to harm by sitting tight. Many traditions though cause direct harm to humanity. Most countries incorporate some form of class system into their government to keep people in the same roles they were born into: this prevents the strong from rising or the weak from falling. Carried to an extreme, you end up with Medieval government structures with inbred idiots ruling countries and intelligent people forced to do manual labor. Galileo was executed for having correct ideas that opposed traditional ideas. Many other great ideas have also been suppressed throughout history by tradition. Tradition, by definition, is not necessarily what is best for people. It’s just how things have usually been done or how human myth says they should be done. Much of the strength of superstitious beliefs come from tradition: if people logically thought about whether knocking on wood, astrology or prayer affects real life outcomes and studied the actual evidence they would quickly discard those beliefs. Even supposedly harmless traditions aren’t good: dressing in ridiculous outfits and singing old songs keeps people from accomplishing tasks related to human progress. If people wish to study history and performing these traditions helps, then it is a positive. I think it is probably overdone though. In business and political life, America has been turning away from using evidence and logic to decide outcomes and has begun to rely upon tradition. The Kennedy family’s political power and George W. Bush’s election is a prime example of this: much of the reason they achieve office in our country is because of family name recognition and not any amazing achievements they have done in their own right. The bailouts of the automotive companies and the banking corporations is another example of tradition defeating logic & evidence: if those companies had failed, it would have made room for newer & better corporations like Tesla Motors, SpaceX and Mint to take market share. Instead, trillions of dollars were wasted to maintain the status quo. Democracy itself is a concept based on using evidence and logic to run the government instead of tradition. If you don’t want a king, queen, emperor or aristocracy determing your fate then you should think twice next time your mind defaults to maintaining the status quo. Use your reason & observed evidence in the world around you to make decisions, not just the default tradition that first comes to mind. Listen very carefully to anyone who uses arguments based on tradition to justify their positions. Oftentimes, those positions won’t be in your best interest.